Te-Ashi-Do Martial Arts - Kickboxing and Martial Arts classes . Te-Ashi-Do Martial Arts. 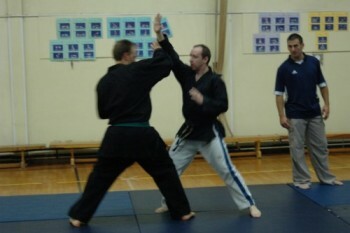 Offering quality Martial Arts classes in Exeter for over 20 years. 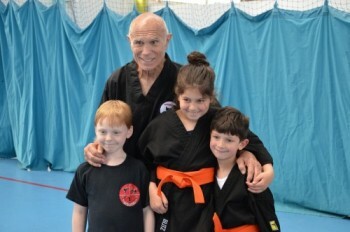 Te-Ashi-Do Martial Arts has been running Martial Arts classes in Exeter for over 20 years. We offer regular classes in Freestyle Karate and Kickboxing. Our classes are a mixture of Childrens only and Adults only classes, meaning we have a class suitable for all ages and abilities. 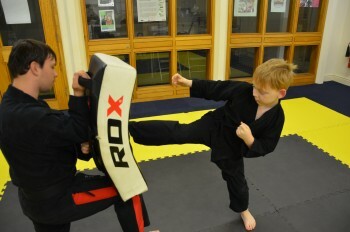 It doesn't matter what you want from your Martial Arts training, we have something to suit! And best of all, you can try any class for FREE! 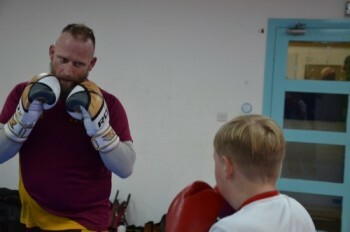 In this class you will have a period of fitness and flexibility, followed by learning techniques which you will then practice on pads or partners, then a session of sparring to finish. This class teaches techniques for point sparring, Continuous and full contact competitions. It is ideal for any age or ability, and you don't need to want to compete to train! This is our original lesson. Te-Ashi-Do Karate is a self defence system, using strikes, throws and ground locks. It covers all aspects of self defence and is suitable for someone looking for confidence, fitness, discipline and focus. This Te-Ashi-Do Karate class is designed for adults only. Our children's only self defence class. Especially structured to help younger people learn Martial Arts, using or original system's blend of striking, throws, locks and takedowns, all practiced in a safe and friendly enviroment. 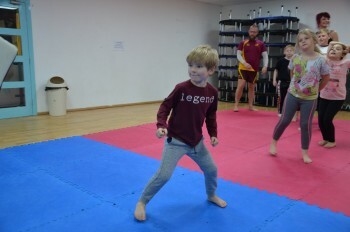 Classes are suitable for ages 3-14 and first lesson is always FREE! Taught by fully qualified, CRB checked instructors. "Have been training for over a year and a half and it's great! Highly enjoyable and I'd recommend it to anyone"
"Instructor knows his stuff. Highly recommended. Great way to keep fit"
"I have attended a few of the Te-Ashi-Do lessons and am very impressed by what I have seen, the instructor makes the lessons fun and easy as well as making sure the training is done correctly.highly recommended"
"Great system and instruction from a top competition fighter and martial artist!" We offer a range of classes suitable for any age or ability and tailor the classes to suit the individual. We have experience in the fitness industry and in security as well as having had students represent their country in competition Martial Arts many times. This makes us qualified to teach lessons that are easy to learn, fun to do, and give skills you can rely on to benefit your health, confidence and general well being.